“I Bleed Red and This Is My House” is a campaign designed to reflect the culture, passion and intent that exists within HRT, with team members featuring alongside drivers Garth Tander and James Courtney in all aspects of the campaign. The campaign was written, directed and produced by HRT and HSV’s advertising agency BoilerRoom. “In a world of spin, this is real, these are the real people of HRT doing what they love doing,” BoilerRoom Creative Director Adrian Pritchard said. “After meeting these guys just once, I knew if we could capture their passion it would be the most powerful expression of the HRT brand we could ever create”. The TVC is supported by bold new imagery and graphics that will be the feature of all HRT promotional material, including the team transporter and pit walls on race weekends. 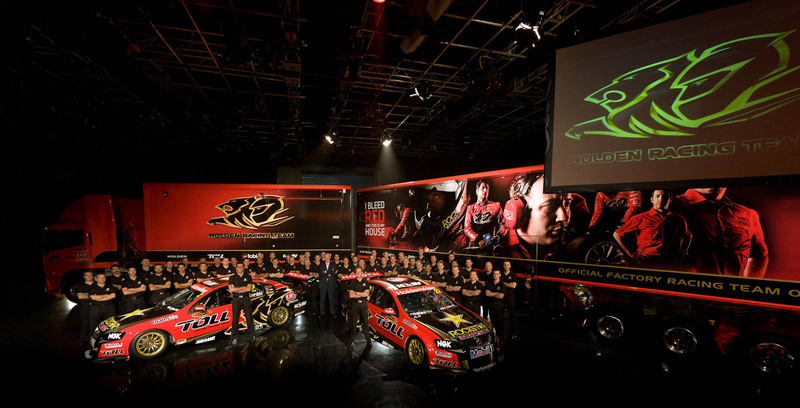 Holden Racing Team Marketing Manager, Rhett Beere said the mantra and TVC perfectly represented the team’s attitude and culture. “The Holden Racing Team is one of Australian sport’s great success stories and we felt it was time to present to our fans, sponsors and the community a message about exactly what it means to us to be part of HRT,” Beere said. “More importantly, we needed the message to be true to the team and the people who represent it – not just the drivers, but the engineers and mechanics you see on race weekends, and the staff back at the workshop that put in tireless hours to make the team what it is. They are the unsung heroes of the Holden Racing Team. “We spoke with each team member individually to understand what it is that drives them to want to work for us and why they have so much passion and commitment for HRT. The mantra came from 19 year HRT veteran, composites expert Peter Schaffer during the internal survey of HRT’s 60-plus staff members. “After my survey, [creative director] Adrian Pritchard asked me what really made me passionate about working for HRT and I said it was ‘because I bleed red and this is my house’,” Schaffer said. Reigning Bathurst Champion Tander said the entire campaign is a genuine reflection of the pride within the team. 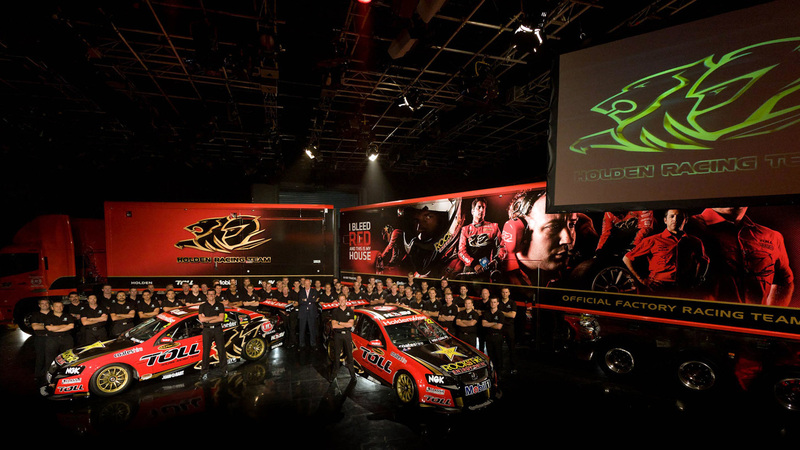 “The Holden Racing Team is an aspirational organisation for many people to be part of, so the passion and culture for team work that it generates within is quite incredible – the new campaign portrays that perfectly,” Tander said. 2010 V8 Supercar Champion Courtney said HRT was again raising the bar within V8 Supercars with the first ever team marketing campaign. “HRT set the standards in V8 Supercars for years – on and off the race track – and that’s why I wanted to be part of the team. I love that we are doing something totally different again,” Courtney said. The official factory racing team of Holden, HRT is the most successful team in Australian Touring Car/V8 Supercar history. Founded by Holden and Tom Walkinshaw in 1990, HRT has six ATCC/V8SC titles (1996, 98, 99, 2000, 01, 02) and seven victories in Australia’s Great Race, the Bathurst 1000 (1990, 96, 2001, 02, 05, 09, 11) to its credit. Garth Tander and Bathurst rookie Nick Percat’s win in last year’s Supercheap Auto Bathurst 1000 was also the team’s 200th all-time race win – an Australian record.